Earlier this year, I was looking for a healthy casserole recipe for a client when I came upon this one in Parade magazine (as well as on the online recipe site Epicurious. 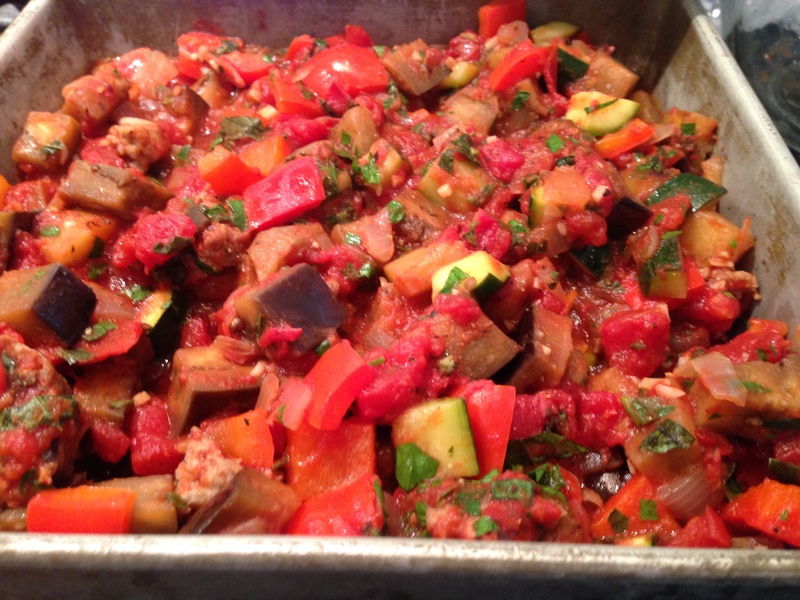 Having learned my clients enjoy eggplant, this recipe seemed like a winner. The first time I made it fairly close to the original recipe, and ever since I have adapted it to match the ingredients I have on hand. Sometimes I use chicken sausage instead of pork. Note: The original recipe called for margarine, but I do not use margarine. Melt the butter with the oil in a cast iron or nonstick pan over medium-low heat. Add the sausage meat and cook for 10 minutes, breaking up the meat with a wooden spoon or high heat spatula. Remove to a bowl with a slotted spoon; reserve. 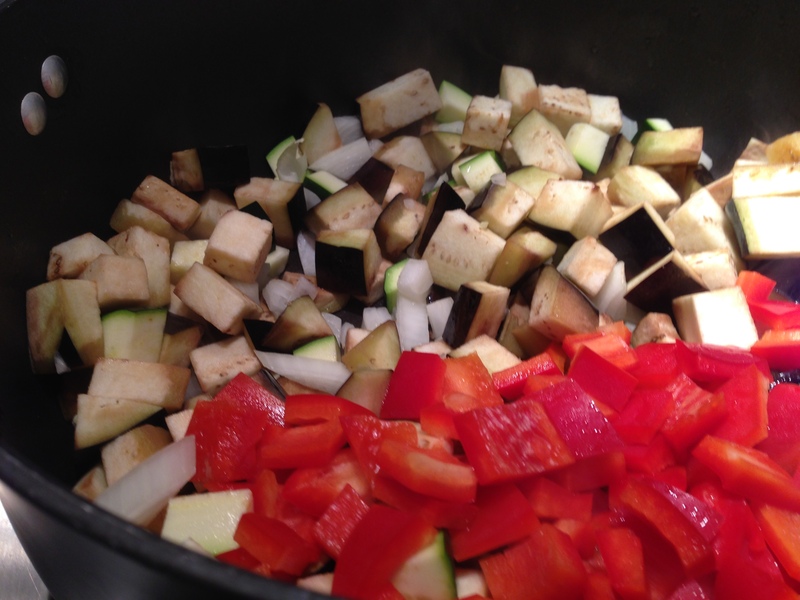 To the same pot, add the eggplant, zucchini, bell pepper, onion, and garlic. Stirring occasionally, cook until softened, about 10 to 15 minutes. Stir in the reserved sausage, tomatoes, parsley, basil, and cayenne. Reduce heat and simmer for 15 minutes. Spoon the mixture into an 8-inch by 9-inch oven-to-table baking dish and sprinkle with mozzarella cheese. Bake in a 350° F preheated oven until the cheese melts, about 15 to 20 minutes. NOTE: In the following photo, I left off the mozzarella for a client who can’t have dairy. Leaving off the cheese also makes this dish Paleo-compliant. 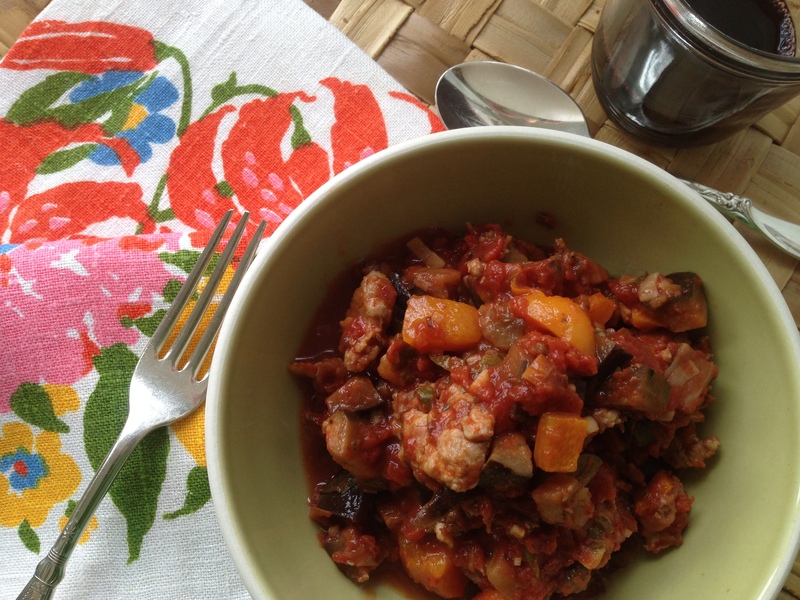 This entry was posted in Gluten-free, Meat, Paleo, Poultry, Recipes. Bookmark the permalink. I’m not much of a pork person but really enjoy the flavored chicken sausages available (like apple). 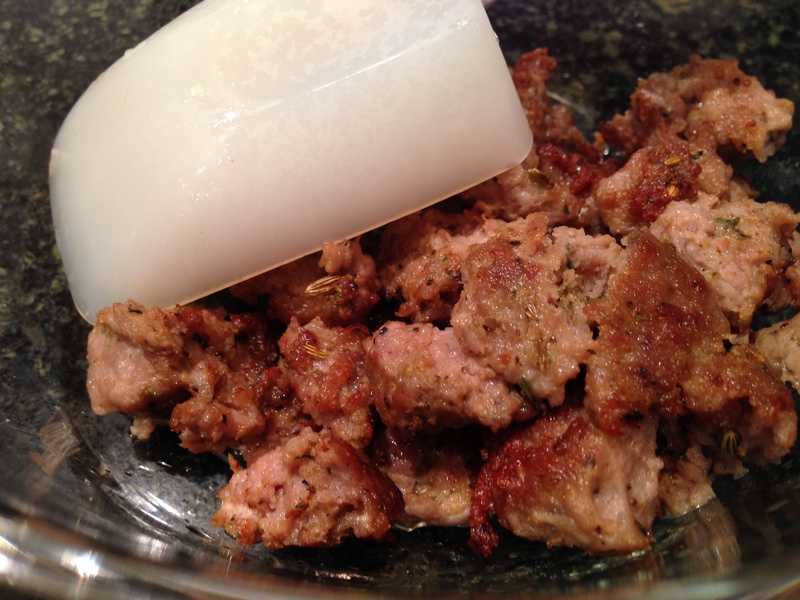 Would using chicken apple sausage affect the dish too much? Any suggestions for countering the added sweetness without losing texture? Thank you your your inquiry Amy. Yes, chicken sausage is a great substitute. I believe most savory sausage varieties would work in the dish. Let me know how it turns out.